Samantha Bee, center, after the show. 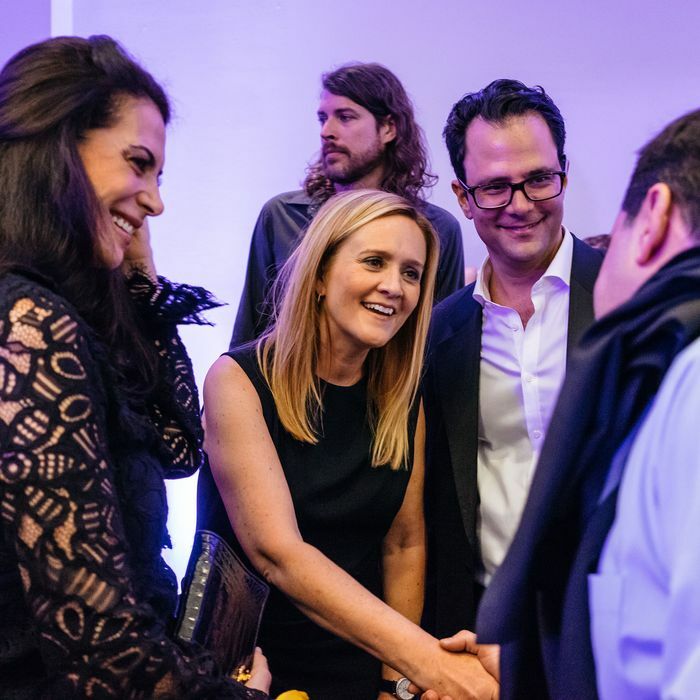 There ain’t no after-party like a Samantha Bee after-party co-hosted by Vulture, because a Samantha Bee after-party co-hosted by Vulture has … designated telephone booths for drunk-dialing your local legislators. Such was the scene at the W Hotel in Washington, D.C., hours after Bee wrapped the taping of her Not the White House Correspondents’ Dinner, where the likes of Will Ferrell, Retta, Alia Shawkat, and Padma Lakshmi gathered to drink, dance, and generally bask in the two sets Elvis Costello played with his band. Take a look inside the event with the slideshow above, and then resume crossing your fingers that Bee wants to do round two next year.